IMS Property Solutions are pleased to announce this two bedroom property, located in Southwold, Bicester. The property offers an entrance hall, spacious living room and kitchen on the ground floor. The first floor has two double bedrooms and a family bathroom. The house has UPVC windows and doors, great for energy efficiency. There is a rear garden and a driveway with two allocated parking spaces in tandem. The property is situated in one of the fastest growing towns in England. 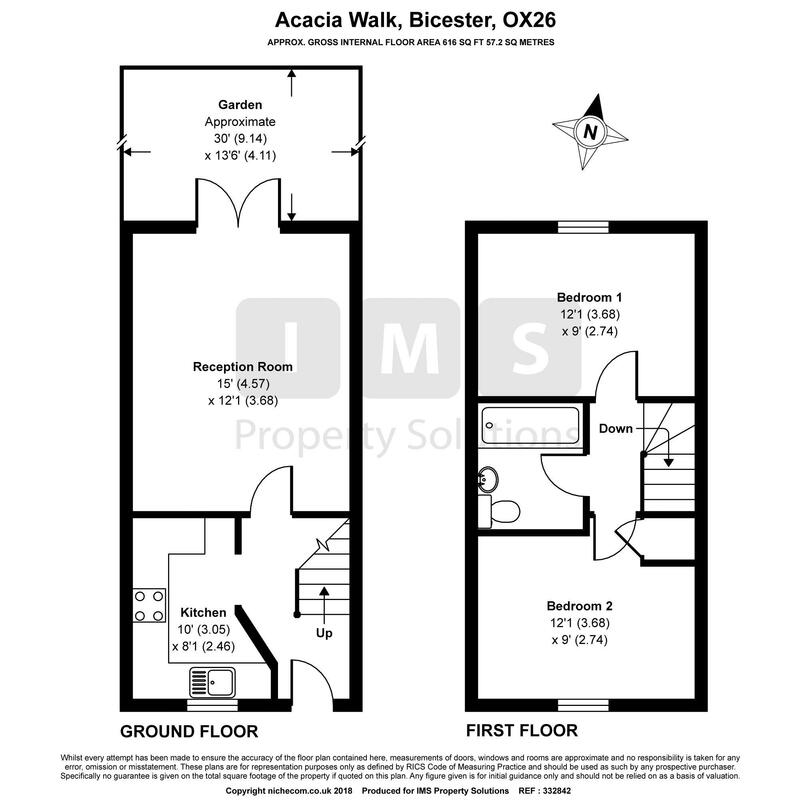 It has various new shops and supermarkets close by, there are some lovely schools located in Bicester that follow onto secondary schools. Benefits include, walking distance to local primary school, Tesco express and takeaway shop. For more information or to arrange a viewing, call IMS on 01869 248339 or email sales@imsinternet.co.uk.